For the footballer, see Vladimir Chernov (footballer). Vladimir Nikolaïevitch Chernov (born September 22, 1953) is a Russian baritone, particularly associated with the Russian and Italian opera repertories. Russia, officially the Russian Federation, is a transcontinental country in Eastern Europe and North Asia. At 17,125,200 square kilometres (6,612,100 sq mi), Russia is by far or by a considerable margin the largest country in the world by area, covering more than one-eighth of the Earth's inhabited land area, and the ninth most populous, with about 146.77 million people as of 2019, including Crimea. About 77% of the population live in the western, European part of the country. 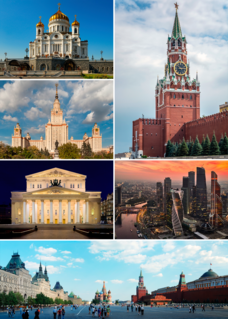 Russia's capital, Moscow, is one of the largest cities in the world and the second largest city in Europe; other major cities include Saint Petersburg, Novosibirsk, Yekaterinburg and Nizhny Novgorod. Extending across the entirety of Northern Asia and much of Eastern Europe, Russia spans eleven time zones and incorporates a wide range of environments and landforms. From northwest to southeast, Russia shares land borders with Norway, Finland, Estonia, Latvia, Lithuania and Poland, Belarus, Ukraine, Georgia, Azerbaijan, Kazakhstan, China, Mongolia and North Korea. It shares maritime borders with Japan by the Sea of Okhotsk and the U.S. state of Alaska across the Bering Strait. However, Russia recognises two more countries that border it, Abkhazia and South Ossetia, both of which are internationally recognized as parts of Georgia. Vladimir Chernov was born in a small village near the town of Krasnodar in southern Russia. He studied at the Tchaikovsky Conservatory in Moscow. After graduating, he became a member of the Kirov Opera in Saint Petersburg in 1981. That same year he won a Special Jury Prize in the Glinka Competition. In 1982 the Kirov sent him to the Accademia della Scala where he studied with Giulietta Simionato. In 1983, he won second prize at the vocal competition "Voci Verdiane" (as well as the special Carlo Galetti prize) in Verdi's hometown of Busseto, Italy. Quickly, Vladimir Chernov attracted international attention. Krasnodar is a city and the administrative center of Krasnodar Krai, Russia, located on the Kuban River, approximately 148 kilometers (92 mi) northeast of the Black Sea port of Novorossiysk. As of the 2010 Census, its population was 774,234. According to the Federal Statistics Service of Russia, Krasnodar officially reached a population of 1,000,007 on September 22, 2018, thus the city is the 16th most populated city in Russia, and also the country’s 16th city with at least a million inhabitants. Moscow is the capital and most populous city of Russia, with 13.2 million residents within the city limits, 17 million within the urban area and 20 million within the metropolitan area. Moscow is one of Russia's federal cities. Saint Petersburg is Russia's second-largest city after Moscow, with 5 million inhabitants in 2012, part of the Saint Petersburg agglomeration with a population of 6.2 million (2015). An important Russian port on the Baltic Sea, it has a status of a federal subject. As a member of the Kirov Opera of Saint Petersburg in 1987, he appeared at the Royal Opera House in London. Later performances were given at La Scala in Milan, the Vienna State Opera, the Paris Opéra, the Rome Opera, the Verona Arena, and others, mostly in the Italian repertory. The Royal Opera House (ROH) is an opera house and major performing arts venue in Covent Garden, central London. The large building is often referred to as simply "Covent Garden", after a previous use of the site of the opera house's original construction in 1732. It is the home of The Royal Opera, The Royal Ballet, and the Orchestra of the Royal Opera House. Originally called the Theatre Royal, it served primarily as a playhouse for the first hundred years of its history. In 1734, the first ballet was presented. A year later, Handel's first season of operas began. Many of his operas and oratorios were specifically written for Covent Garden and had their premieres there. La Scala is an opera house in Milan, Italy. The theatre was inaugurated on 3 August 1778 and was originally known as the Nuovo Regio Ducale Teatro alla Scala. The premiere performance was Antonio Salieri's Europa riconosciuta. The Vienna State Opera is an Austrian opera house and opera company based in Vienna, Austria. It was originally called the Vienna Court Opera. In 1920, with the replacement of the Habsburg Monarchy by the First Austrian Republic, it was renamed the Vienna State Opera. The members of the Vienna Philharmonic are recruited from its orchestra. He made his Metropolitan Opera debut in 1991, as Sharpless in Madama Butterfly , and later took part in productions of Verdi operas such as Stiffelio , Simon Boccanegra , Don Carlo . The Metropolitan Opera is an opera company based in New York City, resident at the Metropolitan Opera House at the Lincoln Center for the Performing Arts. The company is operated by the non-profit Metropolitan Opera Association, with Peter Gelb as general manager. As of 2018, the company's current music director is Yannick Nézet-Séguin. Madama Butterfly is an opera in three acts by Giacomo Puccini, with an Italian libretto by Luigi Illica and Giuseppe Giacosa. Stiffelio is an opera in three acts by Giuseppe Verdi, from an Italian libretto by Francesco Maria Piave. The origin of this was the novel “Le pasteur d’hommes”, by Émile Souvestre, which was published in 1838. This was adapted into the French play Le pasteur, ou L'évangile et le foyer by Émile Souvestre and Eugène Bourgeois. That was in turn translated into Italian by Gaetano Vestri as Stifellius; this formed the basis of Piave's libretto. In addition to his great success in Italian operas, he often returned to his native repertory, appearing in Eugene Onegin , The Queen of Spades , War and Peace , Mazeppa . Eugene Onegin, Op. 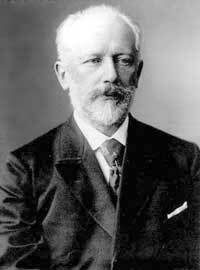 24, is an opera in 3 acts, composed by Pyotr Ilyich Tchaikovsky. The libretto, organised by the composer himself, very closely follows certain passages in Alexander Pushkin's novel in verse, retaining much of his poetry. Tchaikovsky's friend Konstantin Shilovsky contributed M. Triquet's verses in Act 2, Scene 1, while Tchaikovsky himself arranged the text for Lensky's arioso in Act 1, Scene 1, and almost all of Prince Gremin's aria in Act 3, Scene 1. The Queen of Spades, Op. 68 is an opera in three acts by Pyotr Ilyich Tchaikovsky to a Russian libretto by the composer's brother Modest Tchaikovsky, based on a short story of the same name by Alexander Pushkin, but with a dramatically altered plot. The premiere took place in 1890 in St. Petersburg, Russia. Mazeppa, properly Mazepa, is an opera in three acts by Pyotr Ilyich Tchaikovsky. The libretto was written by Victor Burenin and is based on Pushkin's poem Poltava, part of the cultural legacy of Mazeppa. He is also a faculty member of Opera Ischia. Boris Christoff was a Bulgarian opera singer, widely considered one of the greatest basses of the 20th century. Piero Cappuccilli was an Italian operatic baritone. Best known for his interpretations of Verdi roles, he was widely regarded as one of the finest Italian baritones of the second half of the 20th century. He was enormously admired within the field of opera for his rich and abundant voice, fine vocal technique and exceptional breath control. In the great Italian tradition he fused words and music into elegant phrases. He focused on Italian repertory, particularly the operas of Verdi, singing 17 major roles. Gösta Winbergh was a Swedish tenor. Nikola Mijailovic is a Serbian baritone who has a prolific international opera and concert career since the mid-1990s. He is particularly admired for his portrayals in the operas of Giuseppe Verdi. He sang on several complete opera recordings on a variety of music labels. Ferruccio Furlanetto is an Italian bass. His professional debut was in 1974 in Lonigo, he debuted at the Teatro alla Scala in Milan in 1979, in a production of Verdi's Macbeth, conducted by Claudio Abbado. He has gone on to sing numerous roles, including both Don Giovanni and Leporello in Mozart's Don Giovanni, Philip II in Verdi's Don Carlos, Figaro in Mozart's Le nozze di Figaro, Gremin in Tchaikovsky's Eugene Onegin, Zaccaria in Verdi's Nabucco, Méphistophélès in Gounod's Faust, Orestes in Strauss' Elektra, Fiesco in Verdi's Simon Boccanegra, the title role of Mussorgsky's Boris Godunov, as well as many other roles. Nuccia Focile, is an Italian operatic soprano. Sergei Leiferkus is an operatic baritone from Russia, known for his dramatic technique and powerful voice particularly in Russian and Italian language repertoire. He is most notable for his roles as Scarpia in Tosca, Iago in Otello, Grand-prétre de Dagon in Samson et Dalila and Simon Boccanegra as the title role. Leiferkus was born in Leningrad, Russia. He studied music at the St. Petersburg conservatory. Dmitri Aleksandrovich Hvorostovsky was a Russian operatic baritone. Nina Rautio is a Russian operatic soprano. Her son Jan Karl Rautio (1980) – pianist, conductor, composer. Hibla Gerzmava, , is an Abkhazian-Russian operatic soprano who currently resides in Moscow. Dmitri Tcherniakov is a Russian theatre director, and winner of numerous national Golden Mask theatre awards, who works with many European opera houses. Andrew Goodwin is an Australian born operatic tenor. Viktoria Yastrebova is a Russian operatic soprano. She is currently a principal of the Mariinsky Theatre in Saint Petersburg, Russia. Gegham Grigorian was an Armenian operatic tenor. ↑ Judy Lin, "Students, fans adore him", UCLA Today Online, 22 April 2008 Archived May 16, 2008, at the Wayback Machine . Carie J. Delmar,"Vladimir Chernov: Professor Extraordinaire", Classical Singer, August 2007 Profile of Chernov.